If you need dog grooming in Eugene Oregon, or Springfield, Oregon, we have you covered! Our professional dog groomers can handle dogs of all shapes and sizes! Let us groom your dog in the Eugene or Springfield area. Dog Grooming pricing varies by breed, size, and condition of the pups coat, please call and we will be happy to give you an estimate of our services. Savanna from the groom room at Luckyspa here to tell you what makes us so unique! I have learned so much since graduating from the Oregon Pet Grooming Academy and helping implement Luckydog's first grooming business back in 2010. Through continuing education, attending grooming conferences, and working with other groomers, my knowledge continues to grow. I am regularly researching grooming trends so that I am able to keep up to date and bring you and your pups the best services that we can offer. I currently work Tuesdays, Wednesdays, Thursdays, and Saturday at LuckySpa. Luckyspa makes dog grooming convenient! 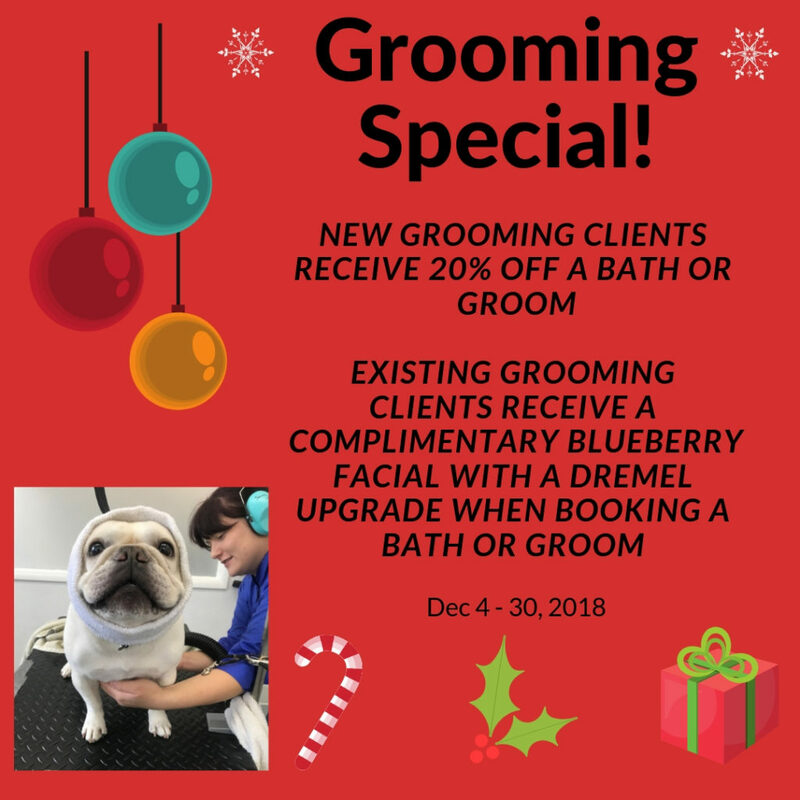 After your pup has had a fun day of playing with their friends, they are able to relax in the groom room and enjoy a one on one grooming visit. We always try to work one dog at a time so they receive our undivided attention. 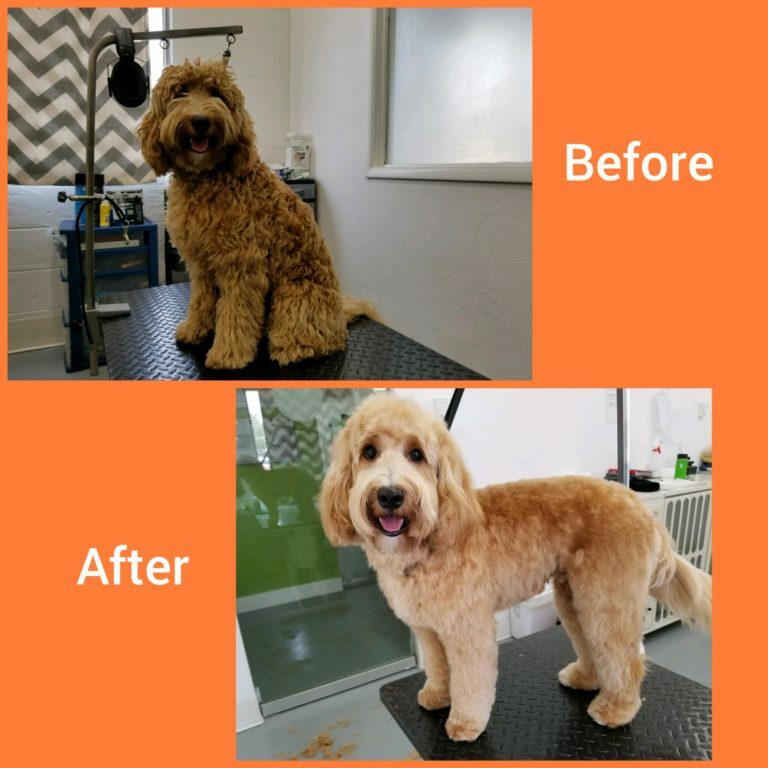 Each pup that signs up for a bath/groom receives a nail trim, ear cleaning (ear hair plucking if needed), two washes (to help the clean last longer), conditioning treatment, blow dry and a brush out. We have many different shampoo options to fit any type of coat. We are also always open to requests or any notes that you may think will make your pup more comfortable, as well as achieving what you as their owner would like! Treat are available at no charge for pups that can have them, and we also have doggy ear protection for sensitive pups!